I know that the purpose of this blog it to deliver reviews on books I have read recently (along with the occasional bookish tag) but today I will be taking a different direction, however, for a very good reason. 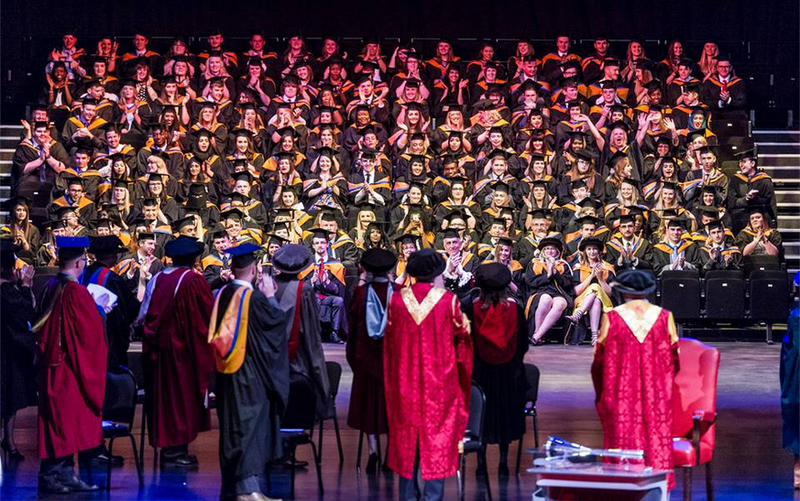 On Thursday 16th July 2015, I graduated from De Montfort University with a “second class (upper division)” in Creative Writing and English. If it isn’t at all obvious from the title of my degree, I really love reading and I really love writing. 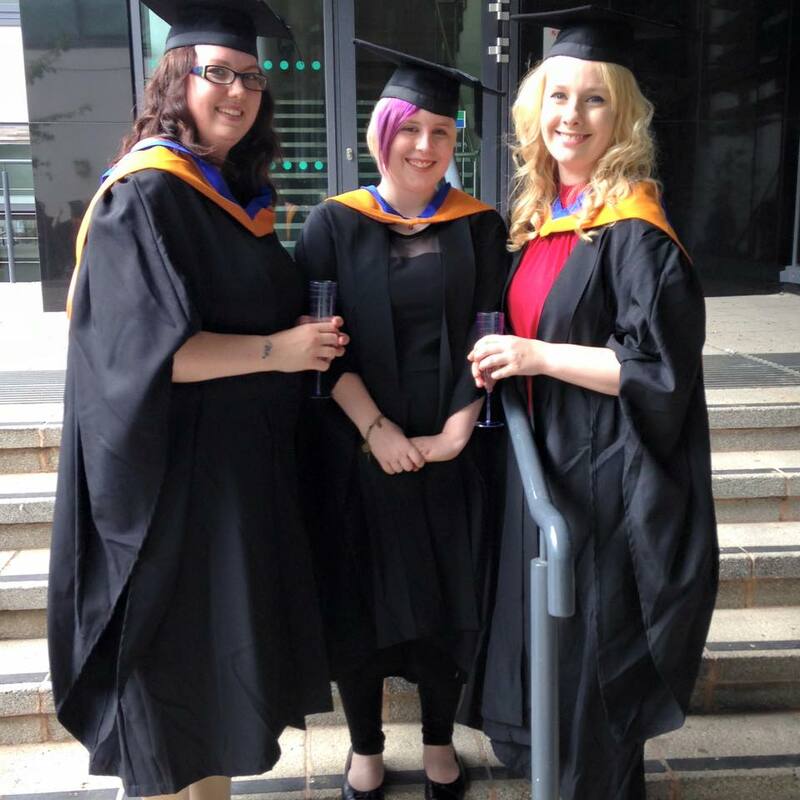 When I started University I was struggling with low self confidence and anxiety. I moved to a city, into a flat in halls with four other girls that I didn’t know and I would literally hide in my room watching Glee boxsets while eating copious bowls of cheesy pasta that I had made at 2am to try and avoid them. In classes, I was the stereotypical quiet one – keeping their head down hoping that the teacher wouldn’t pick me. After the “settling in” period I knew things needed to change, that I needed to change and so I began forcing myself to ask people if I could sit next to them in classes. The result was gaining (what would become) two very close best friends, funnily enough, both called Jenny. I have always known that I want to be a writer. Going to University helped me learn which genre my strengths lay with and what path to take with my writing: Young Adult Fantasy. I remember in my first year having a chat with one of my teachers and when she asked what my end goal was and when I said being a writer she said “then you’ve already achieved your dream” when I asked her, rather confused, what she meant she said “if you write, then you are a writer. What you want to be is an author.” This teacher in particular helped me gain the confidence to say that I am a writer and to not be ashamed of it as I had felt so much in the past. For the first time in my life, I was surrounded by people who thought the same way as me. They were willing to have intense debates, listen to and understand opinions even if they didn’t agree with them. Being surrounded by fellow writers made me feel confident because all of them had experienced negativity from family and peers over wanting to pursue a career in some aspect of writing. They listened to my ideas for novels, encouraged me, and even made suggestions. I was able to unapologetically be myself. When I started coming out to people as bisexual, and when I told what would become my friendship group, I was shocked to discover that not only did it not bother them, but being heterosexual was actually the minority. In my second year I really pushed myself to experience more from university life. 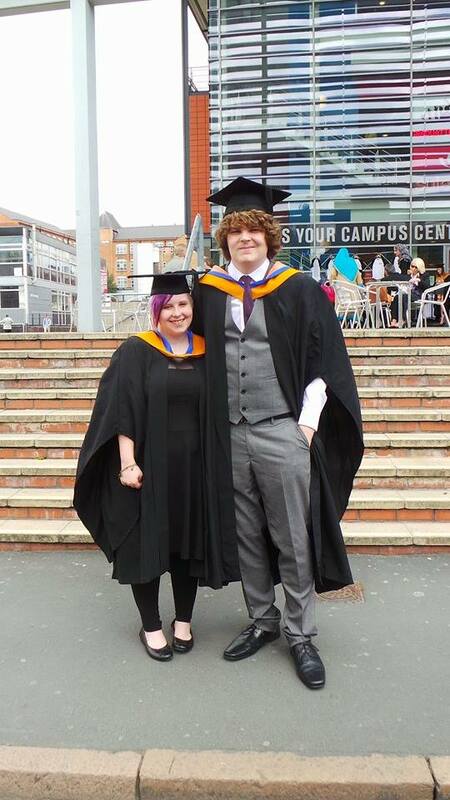 I joined the Creative Writing society, run by Corey who would become a lifelong best friend. I went on nights out and tried to push myself to see how long I could stay out. The result? I eventually met my boyfriend in this society.. on a night out. Whether I had highs or really bad lows, it didn’t matter as much anymore (well it did a little) because I had that support network I didn’t have before. For one of the first times in my life I now have people I can turn to if needed and they won’t project their own issues on me when I confide in them. Third year was must tougher as I had a Creative Writing portfolio (dissertation) to work on. I am now turning the piece I submitted into a novel. 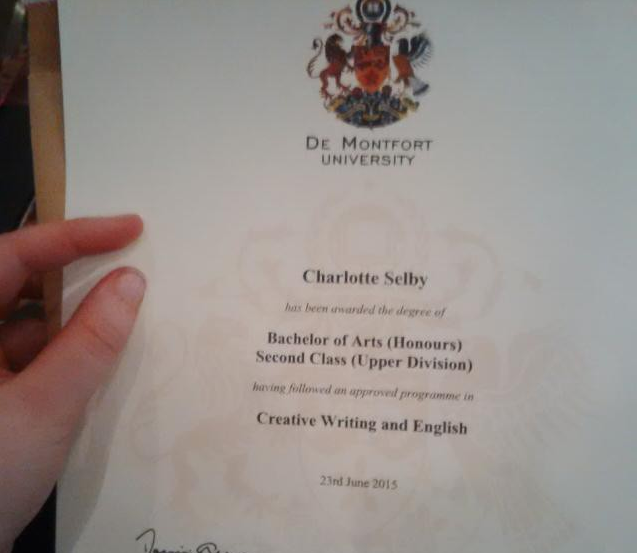 Also I now have a very expensive piece of paper showing the world that I am now a good writer. So I can stick a finger up to anyone who’s negative to me. I am now constantly bombarded with questions about the future… my future. For now, I will continue working on my novel so that it is good enough to be published. I will also continue providing review for you lovely readers. The long term plan? Write novels and work for Bloomsbury. My intention with this post was to not only to share a special day but to show anyone out there who has doubts about what they want to do, that it is possible. You just need to work hard!